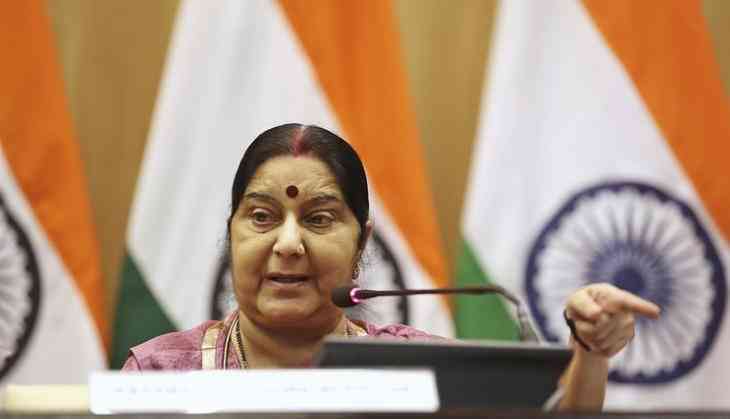 External Affairs Minister Sushma Swaraj on Tuesday expressed her condolences over the demise of Kulsoom Nawaz, the wife of former Pakistan prime minister Nawaz Sharif, who passed away earlier in the day after complications arising from cancer. Swaraj tweeted, "I am sorry to know about the sad demise of Mrs.Kulsoom Nawaz. My heartfelt condolences to the bereaved family. May her soul rest in peace." Kulsoom was admitted to London's Harley Street Clinic for cancer treatment in June and her health deteriorated last night. She was placed on life support earlier in the day. Her death was announced by Shehbaz Sharif, Kulsoom's brother-in-law and the president of the Pakistan Muslim League-Nawaz (PML-N) and her son Hussain Nawaz, Geo News reported. The former first lady of Pakistan was diagnosed with lymphoma (throat) cancer in August last year. A new witchhunt is on in China. What's Xi Jinping really afraid of? Hunger Games actress Jennifer Lawrence is on social media! READ NEXT >> Hunger Games actress Jennifer Lawrence is on social media!